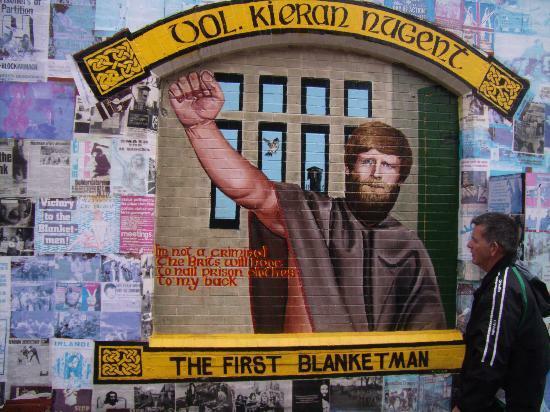 The blanket protest was part of a five-year protest during the Troubles by Provisional Irish Republican Army (IRA) and Irish National Liberation Army (INLA) prisoners held in the Maze prison (also known as "Long Kesh") in Northern Ireland. 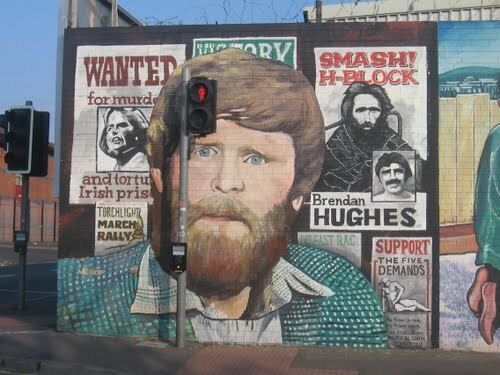 The republican prisoners' status as political prisoners, known as Special Category Status, had begun to be phased out in 1976. Among other things, this meant that they would now be required to wear prison uniforms like ordinary convicts. The prisoners refused to accept that they were ordinary criminals and refused to wear the prison uniform. Convicted paramilitary prisoners were treated as ordinary criminals until July 1972, when Special Category Status (SCS) was introduced following a hunger strike by 40 IRA prisoners led by the veteran republican Billy McKee. Special Category, or political, status was de facto prisoner of war status, providing them with some of the ‘privileges’ of POWs such as those specified in the Geneva Convention. This meant prisoners did not have to wear prison uniforms or do prison work, were housed within their paramilitary factions, and were allowed extra visits and food parcels. In 1976, as part of the policy of "criminalisation", the British Government brought an end to Special Category Status for paramilitary prisoners in Northern Ireland. The policy was not introduced for existing prisoners, but for those convicted after 1 March 1976. The end to Special Category Status was a serious threat to the authority which the paramilitary leaderships inside prison had been able to exercise over their own men, as well as being a propaganda blow. 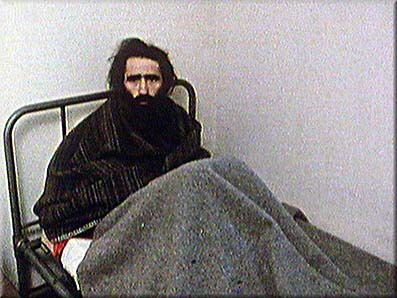 The imminent withdrawal of Special Category Status caused relations between the prisoners and prison officers to deteriorate, and in early 1976 the IRA leaders in prison sent word to the IRA Army Council asking them to begin assassinating prison officers, stating "we are prepared to die for political status. Those who try to take it away from us must be fully prepared to pay the same price". Outside the prison the IRA responded by shooting prison officer Patrick Dillon in April 1976, the first of nineteen prison officers to be killed during the five-year protest. "I was brought straight to the blocks. Cell 17, D wing H1 or 2. I was stripped and beaten. The screws who knew me said, 'We are the bosses now. There are no OCs here'. A screw said to me, 'What size are you in the waist and what size are you for shows?' I asked him 'What for?' and he told me 'For a uniform'. I said, 'You have got to be joking'. I was the only one in the H-Blocks. They dragged me into the cell. Davy Long [one of the warders] wanted me to compromise. He suggested I wore my own shoes and trousers if I wore a prison shirt. I just laughed. He locked the door. I lay on the floor all night without mattress, blankets or anything else. The heat was reasonable in all fairness and I slept." "You will not be seeing me for three years because to have a visit I have to wear uniform. If they want me to wear a uniform they'll have to nail it to my back." Other newly convicted prisoners joined the protest, and at first they were allowed to wear blankets during the exercise period but eventually they were ordered to leave the blankets in their cells. As prison rules required the prisoners to wear prison uniform when leaving their cells, they were confined to their cells for twenty-four hours a day. The prison governor would order the protesting prisoners to wear uniforms every two weeks, and the prisoners refused. As a result of their refusal, they would receive three days "on the boards" where all furniture was removed from their cell, and they were served the "number one diet" consisting of tea without milk, watery soup and dry bread. The refusal to comply with prison rules carried a further punishment, the loss of remission which reduced a prisoner's sentence by fifty percent in exchange for good behaviour. Prisoners were entitled to four visits from friends or family each month, three were in exchange for good behaviour and the fourth was statutory. Protesting prisoners automatically forfeited the three "privileged" visits, and their refusal to wear prison uniform even for visits meant they forfeited the fourth. This left one censored letter in and out of the prison each month as their only contact with the outside world, until after several months some prisoners compromised by agreeing to wear uniforms for visits in order to maintain contact with the paramilitary leaderships outside the prison. As a result of the IRA's assassination campaign against prison officers, relations between the prisoners and prison officers were tense. In March 1978 some prisoners refused to leave their cells to shower or use the lavatory because of attacks by prison officers, and were provided with wash-hand basins in their cells. The prisoners requested showers were installed in their cells, and when this request was turned down they refused to use the wash-hand basins. BBC Videos news about the end of the 'Special Cathegory' status (First broadcast: Sun, 29 Feb 1976) and the 'Dirty Protest'.